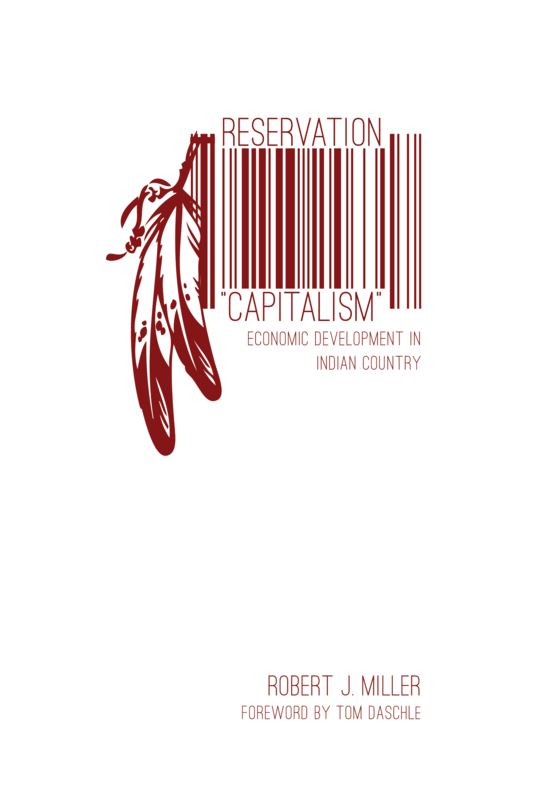 Reservation "Capitalism": Economic Development in Indian Country, describes present-day circumstances in Indian Country and sketches the potential future of Indian communities and economics. It provides key background information on indigenous economic systems and property-rights. Robert J. Miller focuses on strategies for establishing public and private economic activities on reservations and for creating economies in which reservation inhabitants can be employed, live, and have access to the necessities of life, circumstances ultimately promoting complete tribal self-sufficiency. All proceeds on sales of the publication will be donated towards NAFOA’s education program, the Native American Career Success Academy. Prices include shipping and handling.